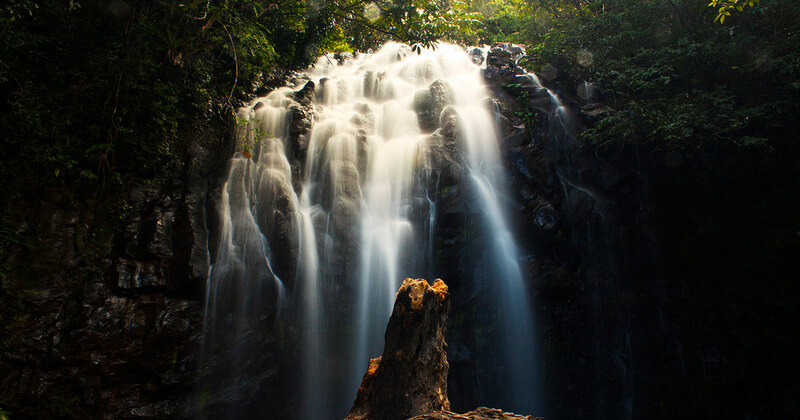 Think of a flexible website like one big waterfall. The water flows from the top, comes into contact with every rock and boulder on the way down, until it splashes through the plunge basin. Now think of an inflexible website like water tank with holes poked in it. The water leaks out of those predefined holes, and the only way to stop it is to plug up each hole, one-by-one. An odd visual given the context, but bear with me. What on Earth does this have to do with websites? Let’s relate this back to menu toggles, a common website feature. When a menu toggle button is clicked, a previously hidden menu is revealed, and a hamburger icon turns into a close icon. Behind the scenes, a “toggled” class is added to the parent container which houses the menu toggle button and menu list. The “toggled” class would correspond with the CSS styles to display the menu and turn the hamburger icon to a close icon, as we outlined earlier. But what if something else on the page needed to be manipulated to accommodate the newly displayed menu? In other words, you’d need to plug a hole in the water tank. Alternatively, the menu toggle button could’ve just simply added a “menu-toggled” body class from the start. All we’d need to do is style .menu-toggled .something-besides-nav, eliminating a step from the “plugging holes in the water tank” method. Why not the <html> tag? If we’re talking “as high as possible,” wouldn’t the HTML tag be the true top of the “waterfall”? Yes, and there’s no technical reason why you can’t use HTML classes if you really need to. 99.9% of the things you could possibly ever want to do on the page can be accomplished through the body tag. WordPress already has a convenient body_class() function that you can feed custom classes into if you need to. You might as well use body classes. Now why would WordPress use body_class instead of html_class? From my research, it may be a throwback to how xHTML would not validate if classes or IDs were applied to directly to the html tag. That’s not the case in HTML5, so it’s a moot point nowadays. If you’re looking to mess around with the WordPress admin bar, which applies styles directly to the html tag, an HTML class may come in handy, but I’d consider this a 0.01% situation. In future posts, we’ll cover other use cases that will refer back to this concept.